At the southernmost point of Korea, in the azure sea of Jeju province, Marado rests tranquilly. It’s a small island, taking just a couple of hours to explore on foot. But everywhere you go, you’ll be surprised by the beauty of the endless open ocean that surrounds it and its similarly expansive, fertile fields. Marado’s coastal cliffs were cut by the waves of Jeju’s ocean, and in the crevasses you’ll find a unique cactus community rooted there. Marado also has churches, a lighthouse, and an old shrine dedicated to the safety of local haenyeo divers to visit. The south end of the island has a large stone marker which you’ll want to see so you can get a mandatory selfie. From Oct. 20 to Nov. 4 during Marado’s “Autumn Travel Week”, special events to mark sunrise and sunset photo ops, star viewing, and musical performances will hosted there. In October the pink muhly grass explodes onto the scene, swaying in the Jeju wind like waves of warm emotion. The scene is particularly stunning when the sky is crystal clear and fluffy white clouds flow overtop their pink counterparts on the horizon. Two spots where you and your friends and family can enjoy the muhly fields are Norimae Park and Hueree Natural Park in Seogwipo. As autumn sunlight pours down, the bright reddish orange citrus ripens, resembling the rosy cheeks of a child. A representative special product of the island, citrus is thought to be a gift from the mythical creator of Jeju — Grandmother Seolmundae. It is said that long ago many mainlanders first heard about the existence of Jeju Island from sampling its imported citrus crop. The Citrus Museum in Seogwipo is easy to find and is loaded with interesting history, citrus facts, cultivation methods, and industry trends. In addition to the citrus themed exhibition hall, there are also examples of citrus plants from around the world, an exhibition room with typical farm tools, and a subtropical botanical garden. Note that from Oct. 15 to Dec. 31, you can try your hand at picking your own citrus from trees at the museum. An increasing number of people are coming to love Jeju because of its small but unique sensibility and its sense of discovery. This volcanic cone is called Akkeun Darangswi Volcanic Cone because it is a smaller version of Darangswi Oreum. ‘Akkeun’ means “something that comes close” or “something that is second to something else” in the Jeju language. It is easily accessible through a small path on the western slope. The hills of the western slope retain stonewalls and camellia trees that appear to be the vestiges of a private dwelling. The circular crater at the summit, which is approximately 600-meters in circumference, resembles a miniature stadium. With the exception of a few thickets, all its slopes are covered in grass. 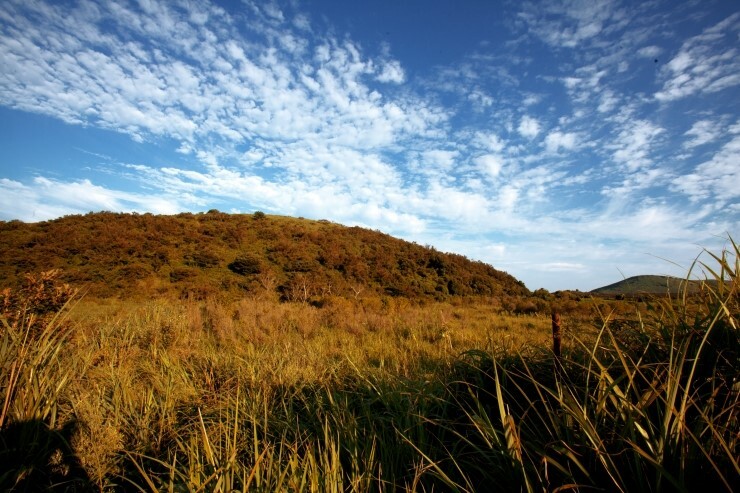 Particularly in October you can appreciate the delicate dance of the grassland as it undulates in the cool breeze. 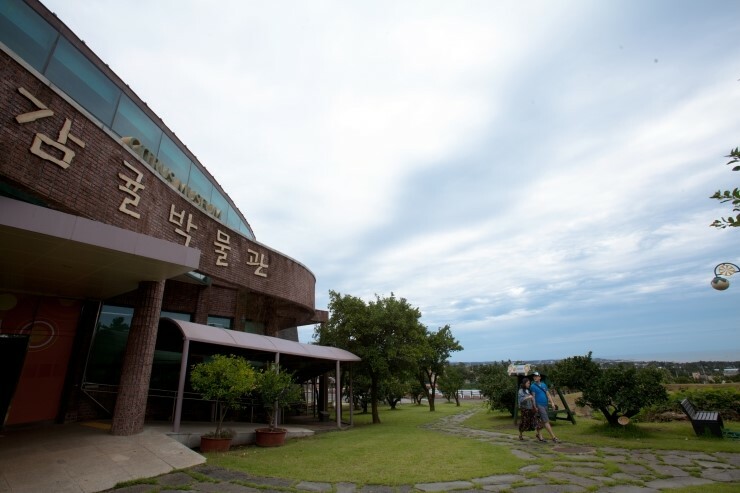 As you might expect, Hallasan Mountain has a very special place in Jeju history and culture. There is a reverence that is rightfully given to this towering beauty. In the autumn, there’s no better place to see the turning of the leaves than here. If you would like to hike up, it is an involved journey of six or more hours, but you will find it’s worth it. The higher you go in elevation, the more pronounced the variations in tree species. If you make your way to the Cheona Valley, for example, you’re sure to be struck by their particular reddish orange foliage, a true sense of nature in all its glory. The leaves will begin to turn about the middle of October and peak in early November. Let’s enjoy this special time of year together! Are you ready to enter a wondrous, mysterious place? 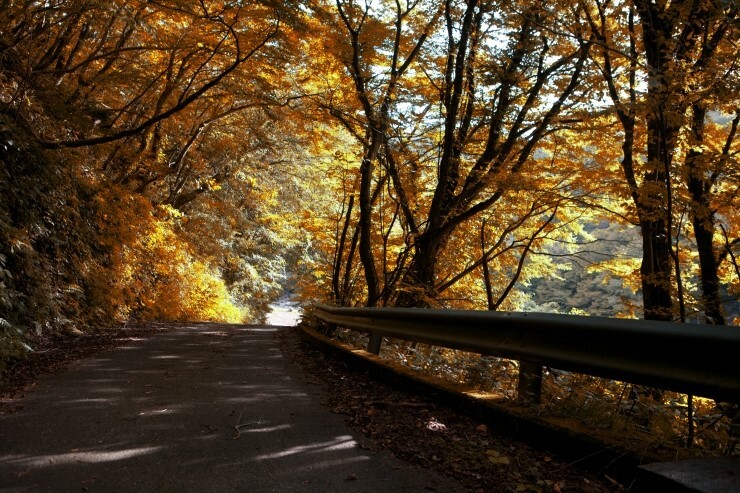 If you are, then let’s step into the shade of the foliage of a chestnut tree forest. The space made here is different from that of other forest trails you might be familiar with. The tunnel-like formation of the intersecting branches of the trees is remarkable and reassuring. The sunshine which streams through the gaps overhead looks heavenly. On the south side of Deokcheon-ri Village is a three-way intersection at Sangdeokcheon. Here the Palja (eight-figure) Choagil path begins. You’ll find a green field, a pond, and a volcanic cone. It’s a lovely area to simply lose yourself and enjoy the scenery of each stage of your mysterious journey. Sometimes your mood dictates how you enjoy your day. There’s a certain village in the east side of the island called Sincheon-ri which is perfect for a quiet, thoughtful walk. Known for its windy conditions, it became particularly famous after a film was shot there. There were murals painted on the walls for the film, inspiring young artists and local painters to create a lovely, colorful ambience which suffuses this small fishing village. Their works include Jeju haenyeo diving women, Jeju ponies, camellias, and other images that characterize the island beautifully. So if you visit Sincheon, let the wind and the art be your guides! Not long ago, a new Jeju view opened up. It is a coastal road from Iho Tewoo Beach to Aljakji Beach. This is great news for all those Olle walking trail enthusiasts out there, since you no longer have to doubleback on trail No. 17. When you visit this stretch of the coast, particularly in the evening as the sun is setting into the sea, the sky and the black basalt volcanic coastline come together like a masterpiece of nature. October brings with it comfortable weather, so over the centuries it has come to be a time for Jeju islanders to celebrate. This year we can again all come together under the autumn sky at a number of island festivals. 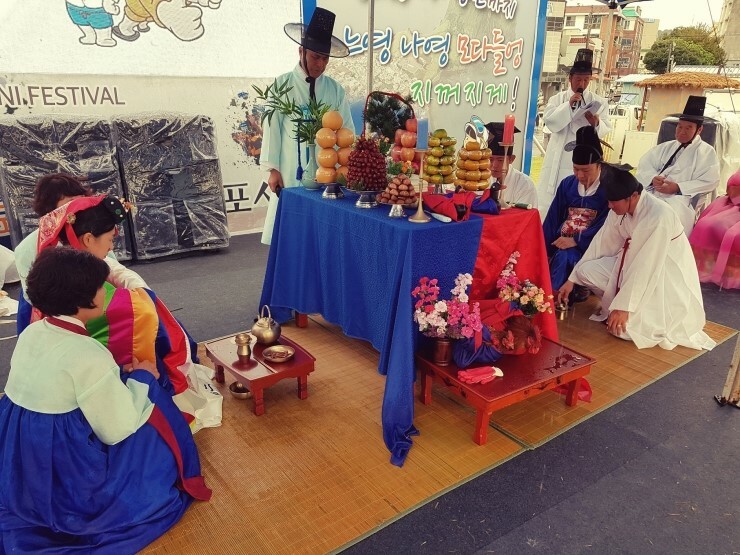 For example, this year marks the 57th Tamna Culture Festival, which began as the Jeju Arts Festival in 1962, and the 24th Seogwipo Chilsimni Festival. The latter will be held at the seaside Jaguri Park. The three-day festival starts with a parade with local residents and will last from Oct. 5 (Friday) to Oct. 7 (Sunday). The Tamna Culture Festival will be held from Oct. 10 (Wednesday) to Oct. 14 (Sunday) at Tamna Cultural Plaza in downtown Jeju City. It will feature various musical and dance performances, cultural experience programs, a Jeju language speech contest, and much more. This is a perfect opportunity to experience traditional Jeju culture for yourself! You’re sure to enjoy the events, food, sense of community, and the lovely weather of real Jeju Island. Jeju hairtail are mainly caught in the spring and autumn, though it’s at this time of the year that the fish is particularly prized. 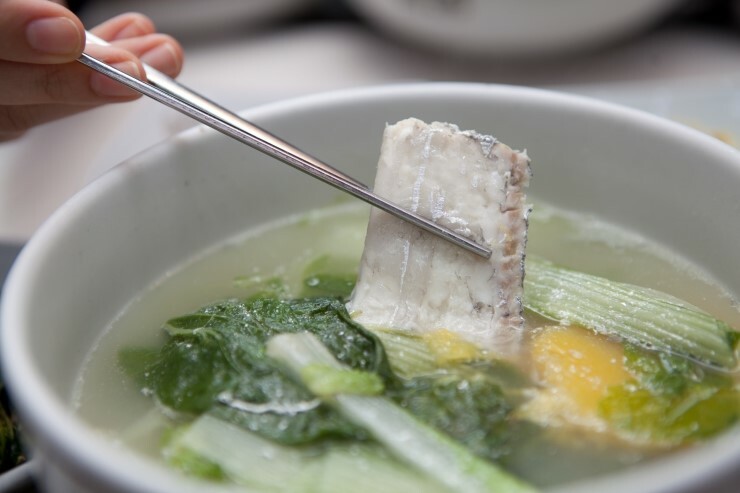 Traditionally locals cooked it in a soup with pumpkin and garlic, reducing its fishy flavor and accentuating its sweetness. Other ways to serve the fish include a grilled option or stewed. One Jeju specialty includes galgal jorim, meaning hairtail (galchi) boiled in spiced soy sauce with garlic and beef ribs (galbi). This is just one example of the amazing variety and flavors you can encounter here as you enjoy the island’s autumn eats.